This is one of my favorite dresses; it's a really easy shape and it doesn't take much to put together a cute but comfortable summer outfit. 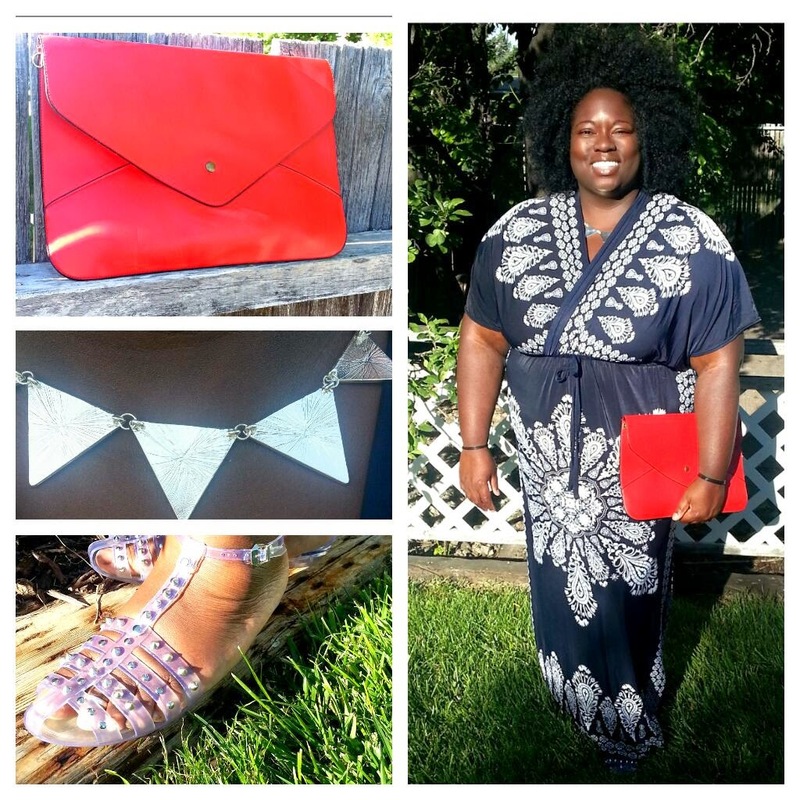 I wore a navy and white graphic maxi dress with clear, spiked, jelly, gladiator sandals, a basic envelope clutch in bright poppy, and a geometric necklace which I wore backwards for the texture. Keep the hair simple and you are good to go.